Our first selection in this series comes from George Porter, Jr. and his short-lived outfit, Joy Ride, that he put together with guitarist Bruce “Weasel” MacDonald about two years after the Meters broke up. As Michael Hurtt’s excellent liner notes for the TuffCity/Night Train CD, Searching For A Joy Ride, reveal, Porter joined David Lastie’s band, A Taste Of New Orleans, after the break up, playing a lot of French Quarter gigs with them for over a year. Porter had met MacDonald, who is originally from Lake Charles, LA, in Lafayette in the 1970’s; and they got together musically when MacDonald moved to New Orleans in 1979. Here in Southwest Louisiana, Bruce MacDonald has been a well-know musical figure for decades, having played in a legendary (and now semi-reunited) Lake Charles ‘60’s garage band, The Bad Roads, as well as other momentous groups such as the Cajun/rock hybrid bands, Coteau and Rufus Jagneaux, and in Zachary Richard’s band in the later ‘70’s. After meeting up again, Porter and MacDonald got to songwriting immediately and put together a group that originally had as its other members Lake Charles native Kenny Blevins(who went on to play with Sonny Landreth, John Hiatt, and Tiny Town, among others) on drums, Sam Henry (of the Soul Machine) on organ and electric piano, and Craig Wroten on synthesizer. The band played mainly clubs in the Uptown area of New Orleans where Loyola and Tulane universities are located, and developed a following with the college crowd. By the time they decided to make this album at Studio In the Country in Bogalusa, Ricky Sebastian (originally from Opelousas, LA and now an esteemed jazz player in New York) was on drums, and Wroten was gone. 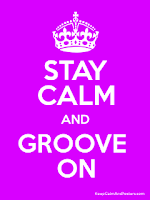 On record, they display a tight, funk infused R&B with rock overtones that Porter describes as “syncopated rock”. They certainly don’t play like a band together for less than a year. “Got To Find A Way” typifies what they were up to with its decidedly upbeat, perhaps cocaine-enhanced, pacing. Sebastian’s complex but danceable romp with the beat underpins this mover and keeps it out of disco territory. Porter’s agile bottom end work is in da groove, while Henry’s organ riffing and MacDonald’s rhythmic quick picking spice up changes that really don’t break any new ground. It’s a riff-driven tune with inconsequential lyrics, sung by both the bassist and guitarist, that surely kept the party people happy at gigs. While there are a couple of slower, plainly funky tracks on the album, most are high energy tunes the band’s principals developed out of live jams. 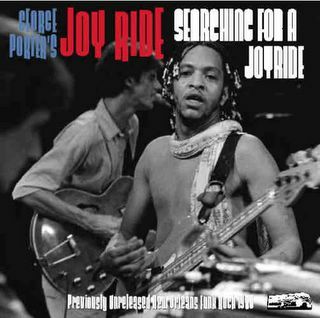 Given time, I think George Porter’s Joy Ride could have become a formidable unit and written some great songs. But, the group came unglued soon after the recordings were made in 1980, having issued only one poorly distributed single on their own Chippewa label, “Mardi Gras In New Orleans” b/w “Money Money”, both of which are on the Night Train CD. Though it’s not anywhere near a masterwork or major find, this album fills in a sonic gap from a period in New Orleans music when exciting musical connections were being made and a number of new groups were forming such as the Neville Brothers, Little Queenie and the Percolators, and the Radiators. Porter and MacDonald would collaborate again on the bassist’s first solo CD for Rounder, Runnin’ Partner, in 1990. Until I got this nicely packaged CD in New Orleans during Jazzfest this spring, I had only heard George Porter’s Joy Ride on a Deesu single (not on this CD) I found; and my wife had told me tales of going to their shows back in the day and even having one of their t-shirts. To me, a great thing about CD reissues is that they often contain previously unissued material that can be lost works or alternate takes. If not always revelatory, they are, at least, fascinating artifacts. Kudos to Tuff City/Night Train for making Joy Ride’s album available for the first time. Note: The Tuff City Records website (see links) has audio samples from most of their CDs. Cool tune Dan. I like the groove on this stuff. Was the Deesu 45 you had their version of 'Cissy Strut'? I'm curious as to why Tiff City wouldn't include the tracks from that 45 on this LP/CD. Good question, Larry. Yes, the Deesu 45 is "Cissy Strut" b/w "Sneaky Freaky". If they had included it, that would have been the total recorded output for the band. I mentioned this single to the Tuff City rep in an email about some other things; but he did not address it. So, it is possible that they did not know it exists or did not have access to a copy. The CD notes do not mention the single, either; but I'll ask them again. Hi all, i don't have a blogger name (yet) but this is Cameron from tuff city. To answer your question, yes we knew about this track but unfortunately could not use it for legal reasons. It is one of the few singles that we don't have the legal rights to. tune(s). We'll get to another one soon. Glad to hear y'all dug the Joy Ride disc. Neither George nor Bruce mentioned the Deesu single to me when we were going through the tapes, therefore I didn't even know about it at the time the CD was being put together! When I did run across it a few months later I thought "Ugh!! This should have been included, or at the very least mentioned in the notes!" ...However, word comes from George that it's not actually Joy Ride, just him and some studio musicians. Apparently the Joy Ride name was just used by the record company, possibly because it was his latest project. Thanks, Michael, for giving us this update on the Deesu single. It makes sense, since the record really doesn't have the Joy Ride sound. Being ever curious, though, I wonder which studio musicians played on it. Oh, well. . .
And, a note to you comment readers: You can find Michael's insightful writing in the pages of offBeat magazine.